Demonoid is now back alive and online. The popular semi-private BitTorrent tracket features a publicly accessible search tool, but requires an member account to post comments, discuss in forums or upload torrents. Free user registration of Demonoid only opens periodically for just a few days a month. Most of the time registration is closed, and only users with invitation code can sign up during closed registration period. If you’re a smoker 21 years of age or older (even if you’re not, you can always pretend that you are smoker lover), you can get a free customized beach towel with 4 designs for selection, by signing up or already joined Parliament mailing list and update your smoking preferences. Rock music lover good news. 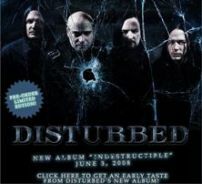 Disturbed, a rock band from Chicago, Illinois which makes up of musicians Dan Donegan, Steve “Fuzz” Kmak, Mike Wengren and singer David Draiman is giving away their ‘future’ yet-to-be-released song – “Perfect Insanity”, from Indestructible album schedule to be released in June 2008. The genre of the song is probably hard rock to heavy metal, or alternative metal. The success of the Give Away of the Day, which giveaways a licensed software program everyday for free which normally required to be purchased, spans other similar free giveaway services that give away freebies on different products. One such free giveaway service on music industry is VolumeVote, which gives away a free MP3 song or music from different singer or different bank everyday. Kathleen Edwards is a Canadian singer-songwriter which has music mostly in blend of country, folk and pop genre, which sometimes been placed in the alt country music genre. 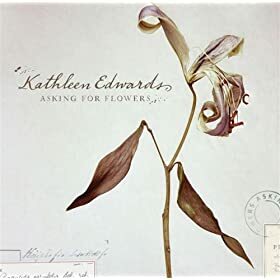 “Asking For Flowers” is the third studio album by Kathleen Edwards that was released on March 2008 by Zoe Records. The lead single with the same song title as the album, “Asking For Flowers” is giving away for free by Amazon. Hayes Carll which is named as Joshua Hayes Carll, is a singer/songwriter from The Woodlands, Texas, United States who currently signed to Lost Highway Records. Hayes Carll major label debut on Lost Highway Records is “”Trouble In Mind” album of country music genre. Girl Downtown is the second song in Trouble in Mind album, and its MP3 is available for free download on Amazon. Platinum MusicPass by Sony BMG music group is a series of digital album cards, which is also a collectible cards or gift cards that enable consumers to download full-length albums, and in many cases special bonus content, in the form of high-quality MP3 song files. Platinum Music Pass is now giving away free MP3 songs from a few singers from variety of albums. The PRODUCT (RED) themed wallpapers are extracted from Dell PRODUCT(RED) PC, which is launched jointly by Microsoft and Dell to help solve AIDS problem in Africa. The PRODUCT (RED) PC comes with Windows Vista Ultimate PRODUCT (RED) edition, which contains the following unique exclusive wallpapers. Here’s the preview of the PRODUCT (RED) wallpapers and the download link to the wallpapers if you love them.